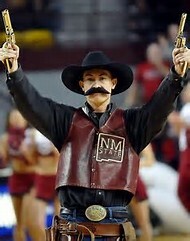 The former United State’s Federal Marshal, gunman, cowboy, scout, author, and water well digger, Frank Eaton, has made his mark as one of the most recognized mascots in college sports. 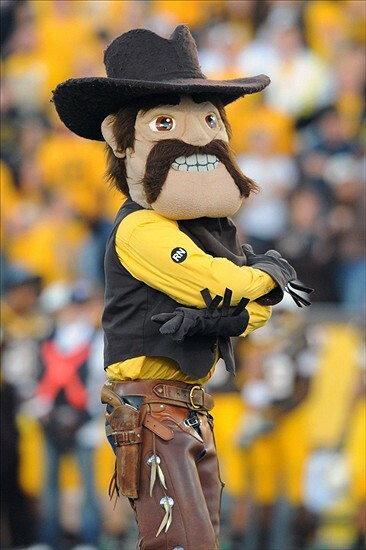 Used as an unofficial mascot (officially named in 1958) at Oklahoma A&M in 1923, the University of Wyoming actually presented Pistol Pete in 1917, and New Mexico State University began their relationship with the Pistol in the 1950’s. 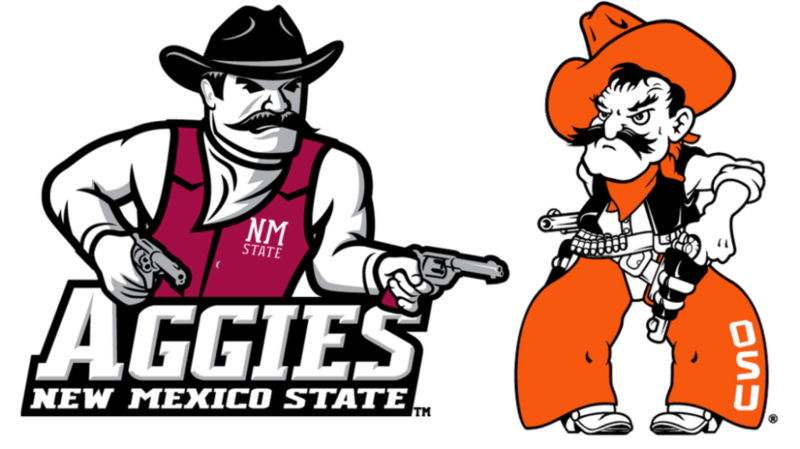 Each mascot of the three schools is now somewhat different but all strive to portray the man in a honorable and historic fashion. All three schools cherish Frank Eaton, his moniker “Pistol Pete” and recognize his past achievements as the face of their sports programs. 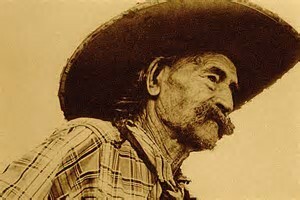 Born in Hartford, Connecticut in 1860, then moved to Kansas at age eight. 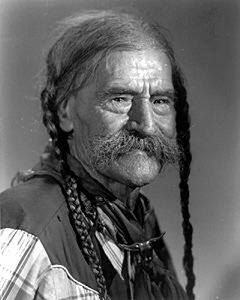 Was known for his skill as a fast draw gunman. Had eight notches on his pistol. 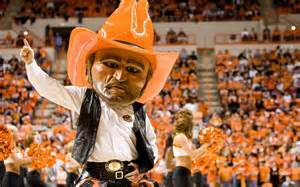 Pistol Pete’s mascot head was designed and made by Walt Disney company in California.